Any other original part or component shall be covered by the stated warranty of the original manufacturer. Any products not specifically included above are hereby omitted. Any other original part or component shall be covered by the stated warranty of the original manufacturer. Any products not specifically included above are hereby omitted. This warranty is void in its entirety by any modification of the frame, fork, or components. This warranty is expressly limited to the repair or replacement of a defective item, and said repair or replacement is the sole remedy of the warranty. This warranty extends from the date of purchase, is offered only to the original owner, and is not transferable. This warranty applies only to Kuota bicycles purchased through an authorised dealer or distributor. DHW Agencies is not responsible for incidental or consequential damages. Any claim against this warranty must be made through an authorised dealer or distributor. Proof of purchase is required. 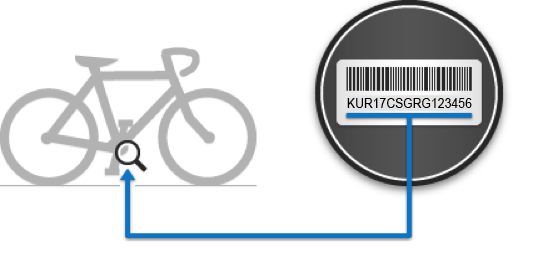 A bicycle must be registered with Kuota UK before a warranty claim may be processed. Claims made for products bought outside the country of purchase are not claimable via Kuota UK. Warranty duration and detail may differ by frame type. This warranty does not affect your statutory rights. Sometimes accidents happen and you may need to replace a non­warranty damaged frame or part. That’s why we made the Kuota Loyalty Programme. We know how much you love your Kouta bike and understand the burden of having to replace a non­warranty damaged bike frame or part. This programme can be used to obtain a discount on a replacement frame or component in the case of non­ warranty damage. Contact your local authorised dealer for details. KUOTA BICYCLES AND FRAMESETS SHOULD BE PERIODICALLY CHECKED BY AN AUTHORISED KUOTA DEALER for indicators of stress and/or potential failure, including cracks, deformation, corrosion, paint peeling, dents, and any other indicators of potential problems, inappropriate use, or abuse. These are important safety checks and very important to help prevent accidents, bodily injury to the rider and shortened useful product life cycle of a Kuota bicycle or frameset. This limited warranty does not apply to normal wear and tear, nor to claimed defects, malfunctions or failures that result from abuse, neglect, improper assembly, improper maintenance, alteration, collision, crash or misuse. This bicycle or frameset has not been designed, engineered, distributed, manufactured, or retailed for use in trick riding, ramp riding, jumping, aggressive riding, riding on severe terrain, riding in severe climates, riding with heavy loads, commercial activities, or any similar activities; such use may damage the bicycle, can cause serious injury to the rider, and in all cases will void this warranty. You can find the bike serial number on the underside of the bicycle frame, near the bottom bracket. Look for a sticker containing a barcode. This sticker will also contain a string consisting of multiple letters and numbers and beginning with KUR or KUTT. This full string or characters is the bike serial number.